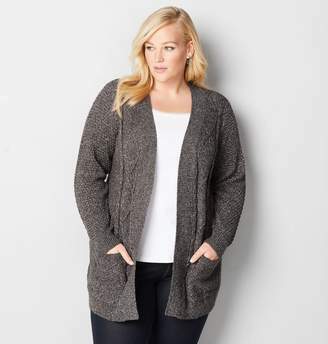 Style: 38110807 SKU: N/A Meet the cardigan you'll be wearing all season long. 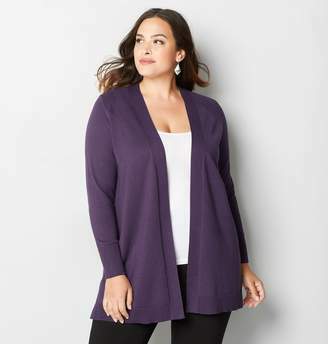 It's soft with just the right amount of weight to layer over your favorite tops. 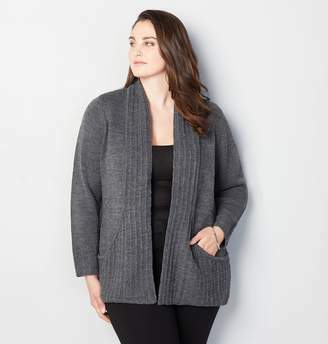 Features a shawl collar open front and contrast rib stitching at the shoulders and arms. 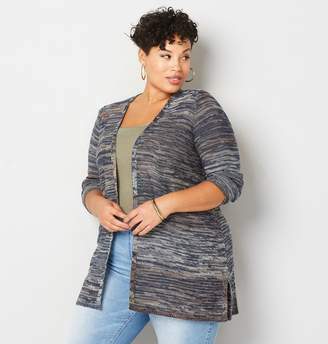 • Plus size cardigan. • Open front. 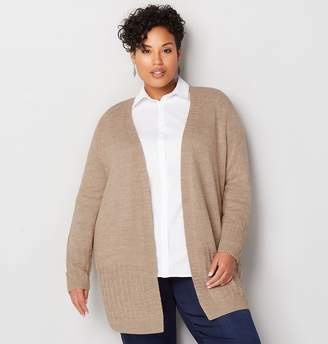 • Rib knit. 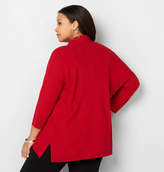 Contrast at shoulders. • Acrylic. Machine wash. Imported. • Approx. 29 1/2 inches long.